1 – UV lighting. 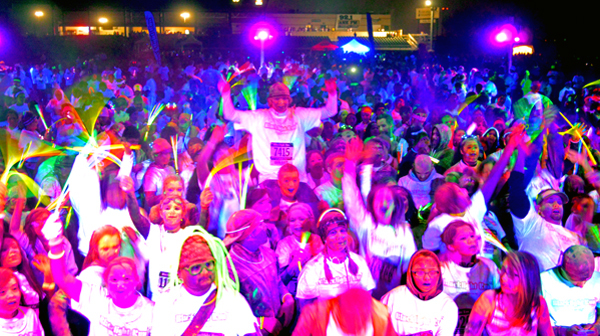 Black Light lighting rentals, also called Ultra Violet lighting, are necessary for a glow party. Using UV lighting allows UV reactive clothing, paints or other items to glow. Although it’s nice to have specific items purchased for their ability to glow, you’ll be surprised at how much stuff you normally carry around, interact with or wear will glow under UV. There are even several bar items that will glow under black Light without special treatment! The major manufacturers of conventional UV lighting are Wildfire and Altman – and, of course, there are LED products from large scale to small flashlights that project UV. 2 – LED battery powered items. It’s hard to remember a time where LED lighting wasn’t in everything – from the flash on your phone, to lights in your car dash, to security lighting – and party items! You can buy battery operated LED’s in almost any shape or size. There are wigs with LED lighting woven in them, clothing, as well as buttons, teeth, ice cubes and even furniture. 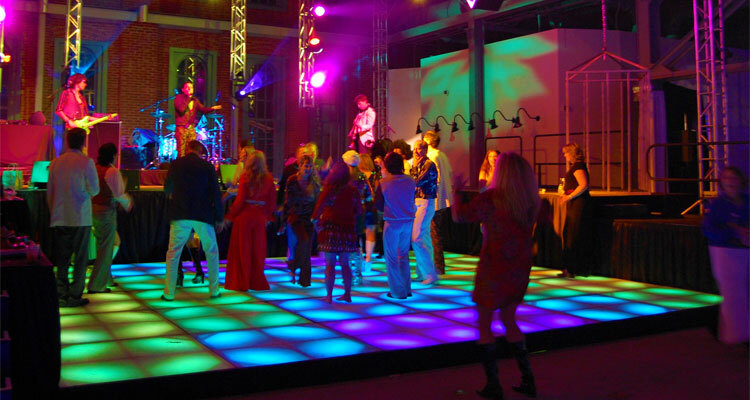 More formal corporate events can use LED bars, set pieces and DJ booths. 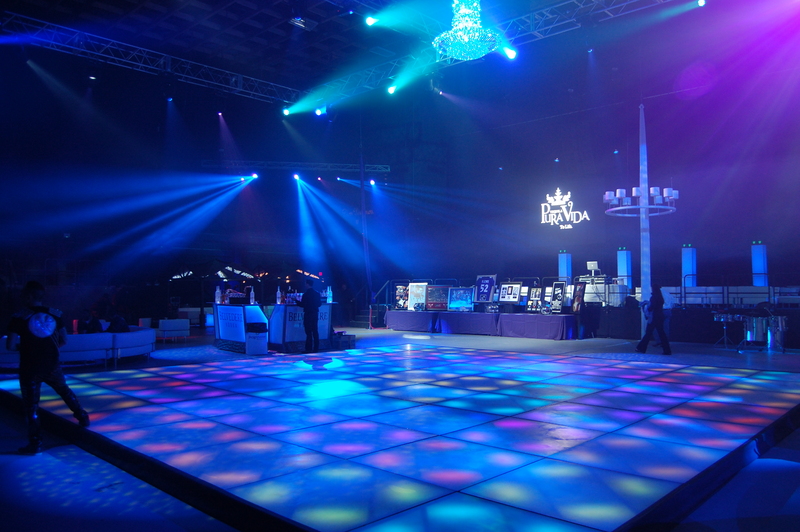 Many events use LED Dance Floors as the centerpiece of the party. Since LEDs provide visible light, they are used in conjunction with UV lighting to create vibrant, saturated colors. 3 – Chemical glowing items. These are the glow sticks that you ‘break’ to activate the glowing liquid inside. These plastic tubes are filled with two non-toxic chemicals. What you bend the plastic, a thin tube of glass inside the plastic tube breaks, mixing two chemicals that provide glowing light for 2-4 hours. You can find these most often in necklaces, bracelets and, of course, glow sticks. They are great as fun, inexpensive giveaways at outdoor and indoor parties. As you may remember from your college dorm – Black Lights don’t produce visible light. As a result, you need a combination of UV lighting, LED lighting, and theatrical lighting rentals to provide the perfect glow party. Wall washes work well, but why stop there? Moving light rentals, LED Dance Floors, gobo projection – even special effects like confetti and cryo bring a Glow Party together for your attendees! It’s incredibly important to find the right vendor for your Glow Party Events. 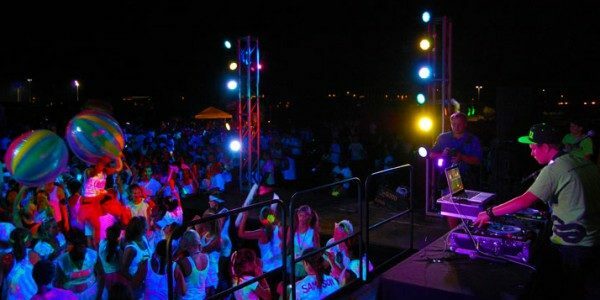 Whether it’s a thousand people in a hotel ballroom, ten thousand college students in an auditorium or twenty thousand people at a 5K fun run, you need a vendor with specific experience in Glow Party events rentals. 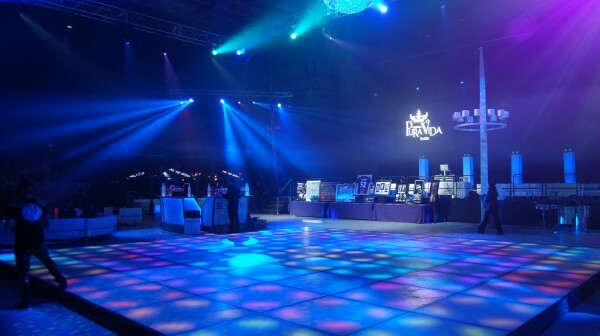 Not only will an experienced vendor have the rental UV lighting fixtures, special effects equipment and rigging equipment in their rental inventory, they will also have the knowledge and experience for rigging in indoor environments, working with fire marshals to provide engineered drawings and working with electrical power necessary for both indoor and outdoor Glow events. The right vendor will be able to provide pictures of previous events – and pictures of more than one event! Check references of both clients AND vendors. Finally, get a Certificate of Insurance. A reputable vendor will have no problem providing a CoI to your organization and your selected venue. The staff at In Depth Events has been involved with Glow Party events and Black Light production rentals for several years. We are one of a handful of companies that provide large scale UV for all types of events. 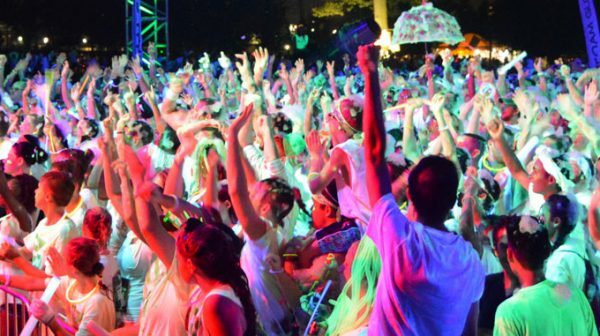 You can visit parts of our site that deals with production rentals for Glow Parties – from Glow Party Experts to our All-Inclusive College Glow Parties. 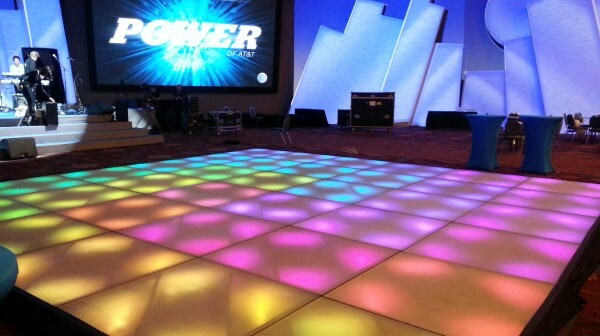 Make sure to visit our LED Dance Floor pages – once there, you can even get an instant rental quote! Once you’ve checked us out, then make sure to Ask Us a Question about your upcoming event. Our experts will work within your budget and vision to make sure your Glow Party Events are incredible for your attendees. We look forward to hearing from you and working with you! Large, ambitious Holiday events with thousands of attendees need live holiday concert event production services and rentals to get the party off the ground. Maybe you are a casino doing a Neon New Years event, or possibly a municipality having a Christmas Tree lighting festival. You could be organizing a Holiday themed 5K run, a corporate Christmas Party or a college Holiday party. Whatever your Holiday responsibilities, you are going to have to find a vendor to provide staging rentals, professional audio rentals and concert lighting rentals – quick! Depending on the party, you might also need Christmas lighting rentals, special effects such as confetti or lasers or even an LED Dance Floor! Whether you have a 20 piece swing band, a rock and roll cover act, or just a DJ – you need to make sure that all your production needs are covered for your event by choosing the best live event production rentals vendor possible. Each Holiday event is unique, but the steps in vendor selection are largely the same for all these types of events. First rule – take the time to research and select the right holiday concert event production vendors! Finding your choice vendors will make you the Holiday hero. The wrong vendors can turn your event into a real Nightmare before Christmas. Never fear! 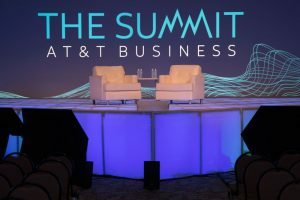 We’re here to give you a few pointers to find the perfect vendors for production rentals for your Holiday event – and along the way, maybe a few pointers for your other vendor needs as well. Step One – Recognize you are in a different league. The simple fact of the matter is that once you get past the 1,000 attendee mark, the whole game changes. At 5,000 people, it changes again, and at 10,000 people, it’s a REAL party! 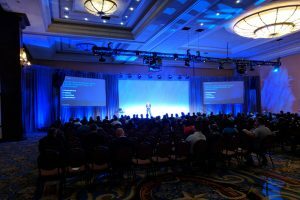 You need to have professional audio and lighting services that fit your crowd size, and your expected number of attendees. Many times, this will necessitate bringing in additional power to handle the needs of the equipment, especially in outdoor environments. In some venues, it may be advantageous to ‘rig’ equipment; that is, hang it from ceiling supports to increase the look and feel of the space and the equipment. The successful concert production services vendor will have experience in producing events relative to the amount of attendees you are expecting. If rigging is an option, choose a production vendor with rigging experience. Understand the venue you have selected may require insurance information from the concert production vendor – this is something a reputable vendor will be happy to provide. Likewise, a reputable concert production vendor will be happy to supply the power needs and requirements they have for their own equipment. Step Two – Go with your instincts! Did the vendor listen to your needs on the phone? Did they ask questions and pay attention to your responses? Did they offer to do a site survey? Did they offer to provide you pictures of past events? In many cases, you want (and NEED!) a vendor who you are comfortable with. You’re not hiring a plumber here! A good relationship between you and your vendor is key. Meet the potential vendor on site and perform a site survey with them. Asking for both customer AND vendor references is perfectly OK – in fact, a reputable vendor will welcome your request. A reputable vendor will be happy to provide photos of recent events. You should always take the time to check references with any vendor, but especially when choosing a concert production vendor. Obviously, avoid vendors who are condescending or rude. 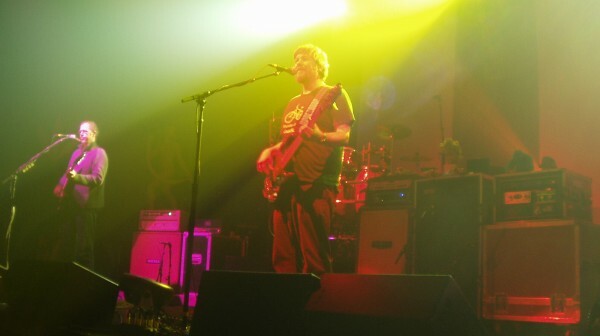 Step Three – Ask your concert production services vendor for design advice. This is an often overlooked step that can really help you select the best concert production vendor possible. During the site survey, ask the vendor what other services they may be able to provide that will bring your party to the next level. A good vendor will be happy to brainstorm with you on design ideas. After all, they do hundreds of events per year – they might just have some ideas that will be great for your event! 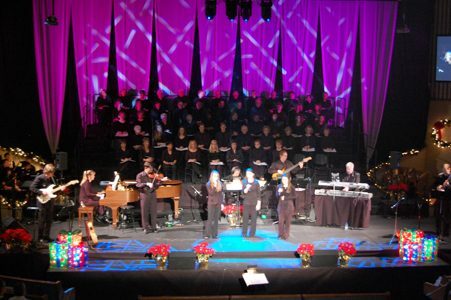 A good holiday concert event production vendor can help with design. The best production services vendor will be evaluating the venue during the site survey for potential roadblocks as well as design ideas. 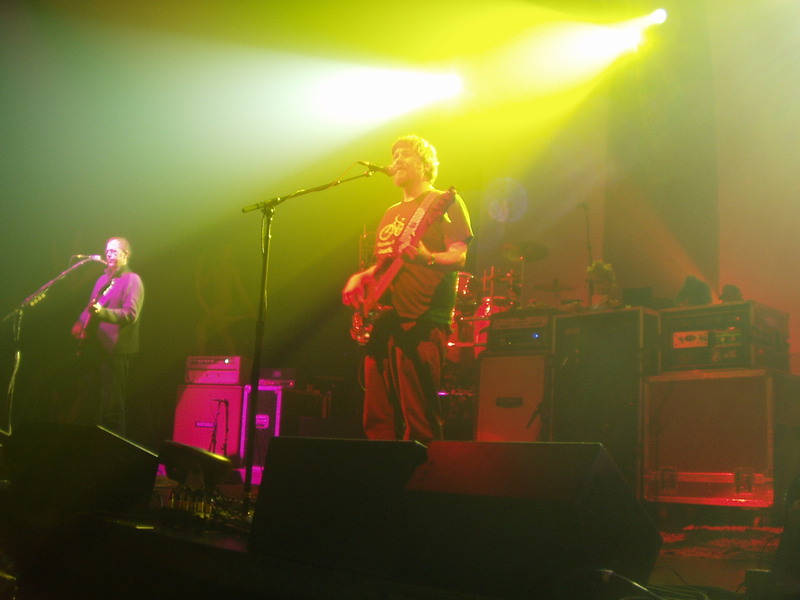 Look for concert production vendors that are knowledgeable with fire codes and building codes. The best way to do this is to ask if they are Certified Building Contractors with any municipalities. Your vendor should be also able to help you with ideas for crowd movement and making sure your attendees are safe during your event. The staff at In Depth Events has provided holiday concert event production services and rentals for hundreds of large scale Holiday events – from huge corporate Christmas parties, to Neon New Years events for casinos, and everything in between. In our regular season, we’ve provided live event rentals for thousands of events of all shapes and sizes. We’ve also got some great production services that are ready for your guests, including the largest LED Dance Floor in the nation, as well as being one of the most experienced Glow Party Experts in the world. Our clients rely on our production experience – shouldn’t you? Make sure and Ask Us a Question to see how we can help with your next Holiday event. We look forward to hearing from you and working with you! Acrylic topped LED Dance Floor. These are by far the most common LED Dance Floors available in the US today. And we own the largest number of rental panels in the United States! Our LED Dance Floors are made with 4 foot x 4 foot panels and we sandblast the tops for slip resistance and light diffusion. 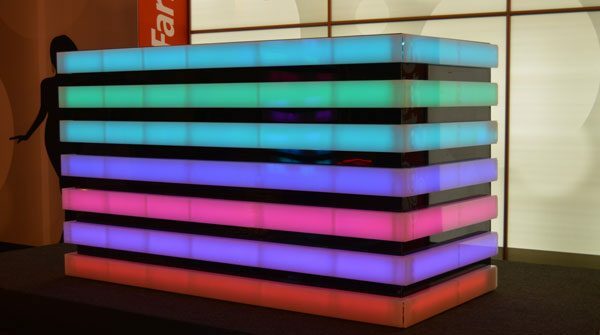 These floors have over a million color combinations, can be installed either indoors or outdoors and are DMX programmable. 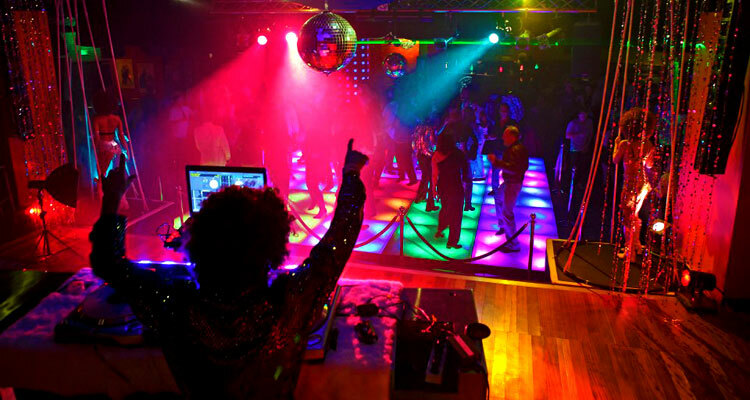 By using DMX lighting protocols, you can program the floor to work with other wash or intelligent lighting in the room. LED Interactive Dance Floor. These floors are based on a very low resolution video screen. They are pressure sensitive, so when you step on the floor, it reacts by running pre-programmed video effects. These floors are a lot of fun, and are typically used for dance contests, fashion runways or other uses when there will be limited people on the floor. There are two reasons for this – the first is that a large number on the people on the floor will confuse the computer running the video loops. The second is that lots of people on the floor keeps you from being able to see the video effects. LED Video Dance Floor. These are the floors you see at large concerts and sporting events. Most of the floors available on the rental market are medium resolution. They are very expensive to rent and transport, as they tend to be very heavy. 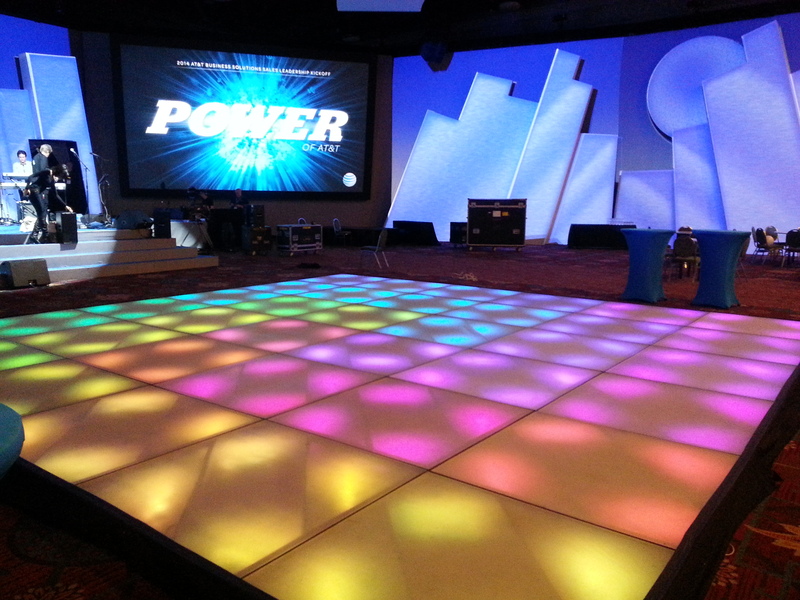 LED Video Dance Floors, however, make an amazing statement. They are typically built with 1 square meter panels (approximately three feet wide x three feet tall) and can be built to practically any size desired. They require a media server to run video on the floor. 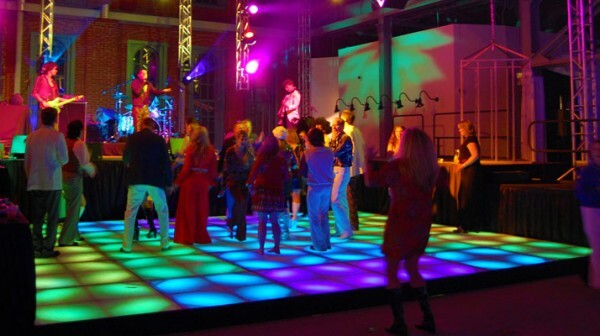 These types of rental LED Video Dance Floors are used almost exclusively for corporate parties. 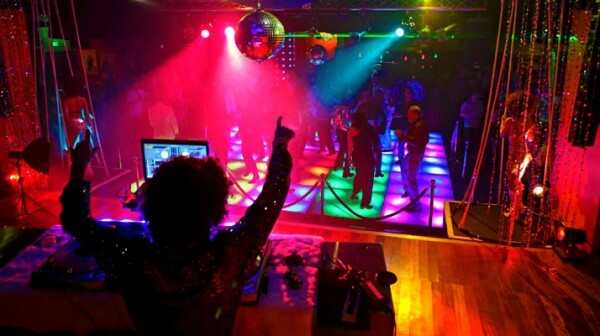 Remember – once you fill the dance floor, it’s difficult to see what is being played on the video! As with any vendor, first impressions are key. Are you comfortable during the initial phone conversation? Did the person on the phone take time to listen to details about your specific event? Did they seem knowledgeable about the services they are offering? A reputable company will have staff that knows the service and will be willing to take time to talk to you about your specific and unique event. Ask for pictures of previous events. Ask for references. A reputable company will be happy to provide images as well as client AND vendor references. While vendor selection is key, even the best vendors need specific information from you, the client. Be ready to provide information on your event space and pictures if possible. Accurate load in, load out and event times keep everyone on schedule. Be clear about dress codes. If you are having a black tie event, we need to know, so your operator can dress appropriately. We hope you’ve found this article to be informative! 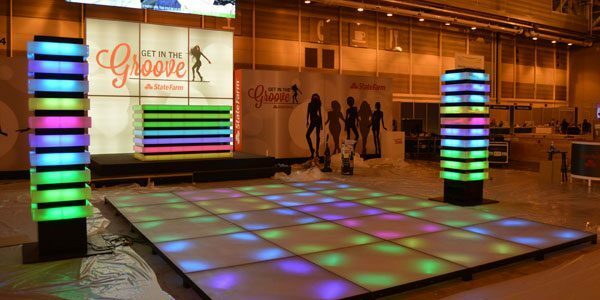 If you are considering a rental LED Dance Floor for your event, then make sure to Ask a Question of the experts at In Depth Events. We’ve got the largest, safest and brightest LED Dance Floor in the business and we routinely do events all over the United States. We look forward to hearing from you and working with you!